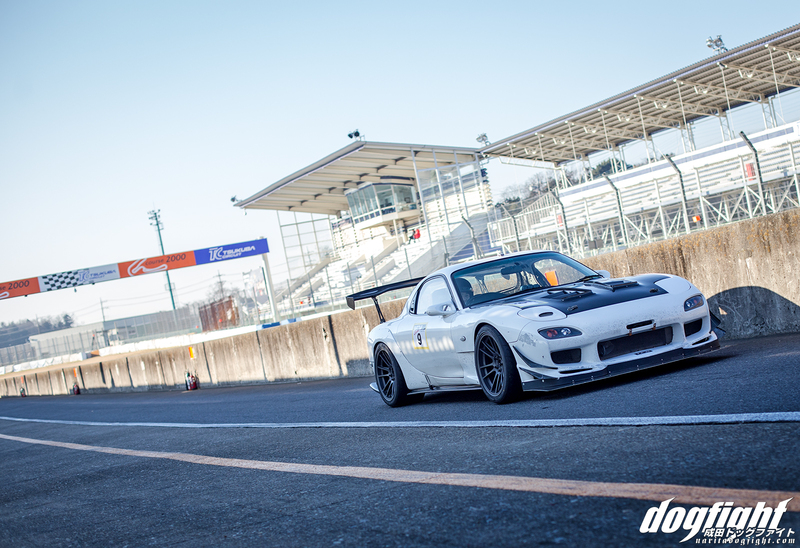 Dream Works is no stranger to building cars that inhabit the race track. In fact, some of their customer cars are more well-known than their own demo cars. Super Battle Evome class competitor ‘Pori Pori’ (which I think is the sound effect in Japanese used to describe the sound of scratching something) is one such customer. 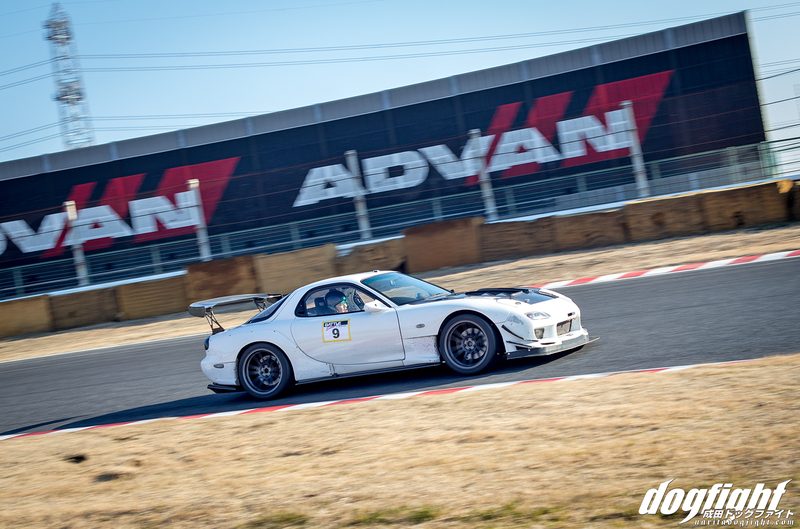 This Super Battle Evome competitor drives to Tsukuba, lays down a sub-minute lap, and drives home in time for dinner; that’s reliability that you can’t get just anywhere. 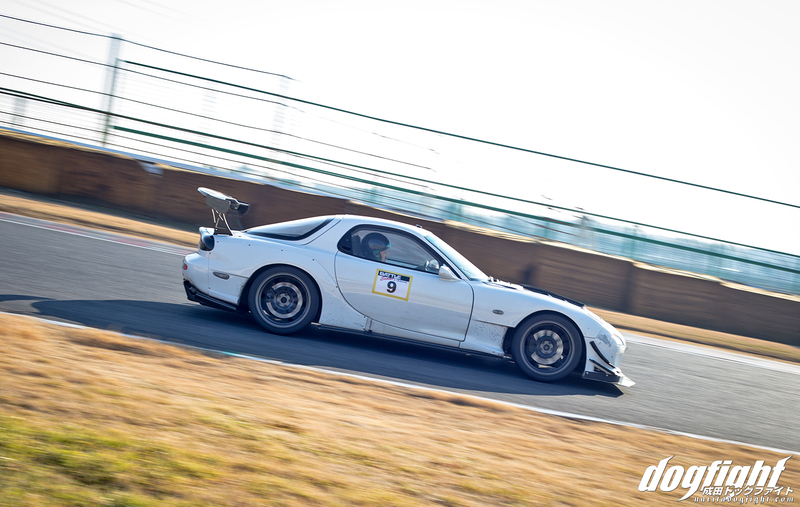 59.625 second laps don’t just come out of the box, however; this RX7 has been stepped up in several ways. The exterior is widened with the help of a Fujita Engineering AFFLUX body kit increasing rear width by 20mm and 25mm up front. 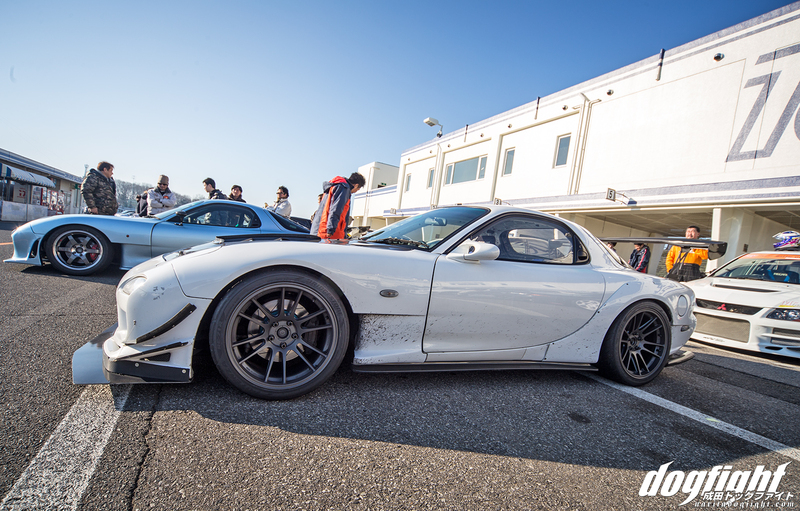 This allows Mr. PoriPori to run the 18″ Enkei GTC01RR wheels at all four corners. Wrapped in 295/30 RE-71R’s, the FD has no problem handling the corners at TC2000. The added aerodynamics from the rear GT wing, diffuser, and front splitter provide assistance in keeping the car stable around the track. The car looks really good sitting in the paddock; the subtleness of modifications go a long way in providing a refined upgrade to the 90’s sports car. 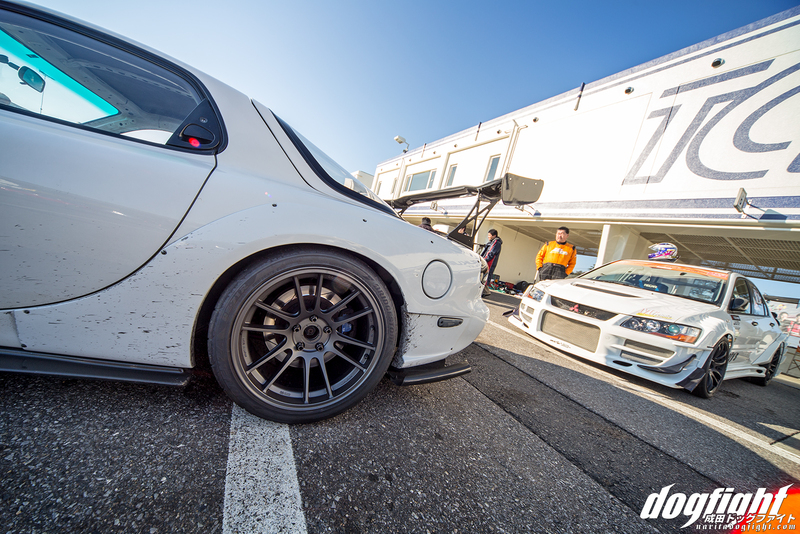 Splashes of rubber and track grime hint that the car has seen some action in it’s days. The 13B has been given some attention that has increased both it’s boost and reliability with a plethora of Trust goods and work from both Dream Works and TFR. 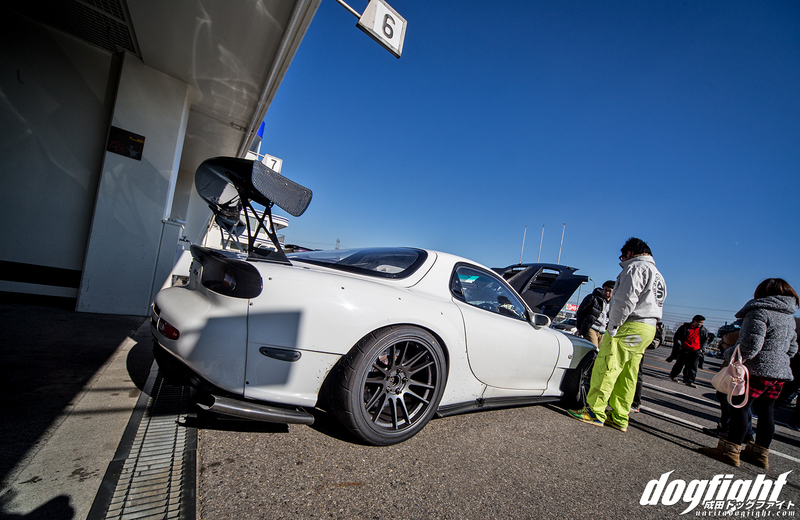 It all comes together to form another beautiful looking, well performing car, built by the guys at Dream Works Racing.